Before the advent of the miners toward the end of 1862, a few people had already settled around Lake Wakatipu. Very soon after the coming of the miners there is evidence that religious services were being held in Queenstown. Besides flourishing Anglican, Roman Catholic and Methodist churches, the Presbyterians were the last of the major denominations to become established in the Wakatipu. His visit was followed by visits from the Rev. Thomas Alexander, of Woodlands, who conducted divine worship “under the agreement whereby the neighbouring Presbyteries supervised the Goldfields pending a response to the signals of distress sent to the Home Country by the Southern Church.” However, it was not until the following year that the Presbyterians of the Wakatipu petitioned the Presbytery of Southland asking that a minister be secured for them as soon as possible. But over two years passed after the institution of Queenstown as a parish before the efforts of the Church Extension Committee of the Synod were crowned with success in the sending of the Rev. Donald Ross to the Wakatipu. At first, the Presbyterians continued to use the Wesleyan Church for their services but it was soon decided to raise funds to build a Presbyterian church. An extract from the diary of Rev. Stobo reads as follows, “May 30, 1869. 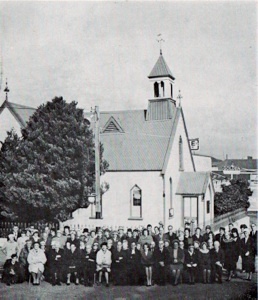 Mr Ross of Queenstown preached in Gaelic in the afternoon [in Invercargill] when a collection was made on behalf of church building in Queenstown.” On 3 April 1870, the Rev. Ross dedicated the new church building and held the opening service. The service was attended by an overflow congregation whose liberal donations and seat rents paid in advance, when added to the amount already collected, enabled the minister to announce that the full cost of the church, £360, had been met and that St Andrew’s would open debt free. In a report of the event the Otago Witness described the building as, “…an elegant and commodious structure built of wood, with seating for 150 worshippers.” Lighting in the church was provided by handsome hanging kerosene lamps. In 1897, it was decided the church needed to be altered and extended to provide better facilities. The opening of the enlarged church was carried out by the Rev. 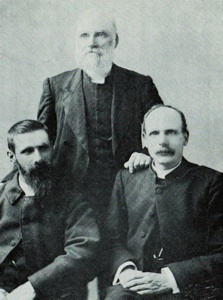 W. Hewitson and the Rev. R. Blair on 2 October 1898. 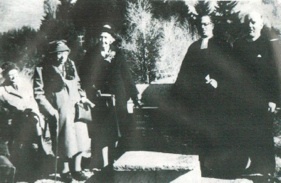 Beginning in the 1940s, consideration was given to building a new Presbyterian church in Queenstown. 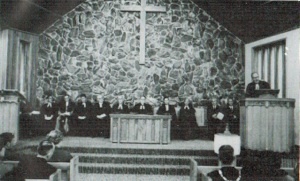 However, because the the Frankton parish needed a new church building more urgently than Queenstown, with the church there completed in 1959, building of the new St Andrew’s church in Queenstown was not commenced until September 1967, which coincided with the centennial celebrations of the Wakatipu Parish. One year later, on 2 June 1968, the old St Andrew’s was closed following a special service conducted by the Rev. Robert Coates. 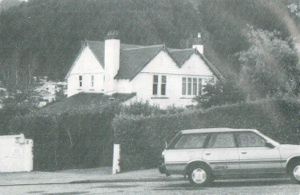 The old St Andrew’s was sold at auction in Dunedin and was demolished to make way for new building projects. 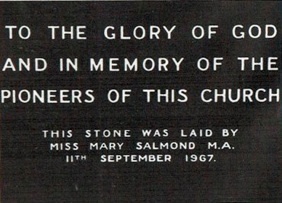 On 21 September 1968, at 2pm, the new St Andrew’s Church on Stanley Street was opened and dedicated. Some 450 people found seating for the opening ceremony, even though the church is only designed to seat 350. The dedication was carried out by the Very Rev. Dr J.D. Salmond. St Andrew’s has preserved several historic items. Among these are early pulpit Bibles, the “fish” from the spire of the first St Andrew’s and a certificate of incorporation in the name of the Queenstown Presbyterian Church, dated 14 March 1879. 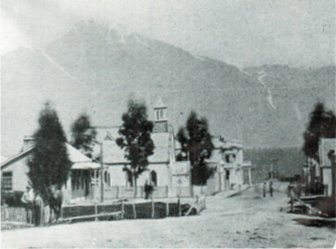 The first manse for the Wakatipu parish was purchased at Frankton in 1870, where the minister lived until 1878, when a new manse (upper left picture) was built on Melbourne Street in Queenstown. 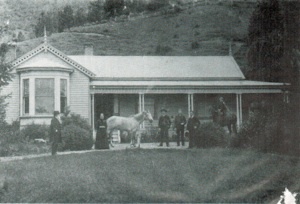 The Melbourne Street manse remained the official residence of the Queenstown minister until 1945, when a new manse was purchased at Sydney Street (middle left picture). 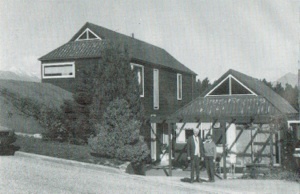 The Sydney Street manse was eventually sold in 1981, when it was decided to acquire a new manse on Veint Crescent (lower left picture). The above text consists of excerpts from J.D. Salmond, Unto the Hills (Dunedin: Otago Daily Times, 1967) and from D.G. & J.S. Jardine, Mountain Parish: 1867-1990 (Mosgiel: S.N. Brown and Taieri Print, 1990).